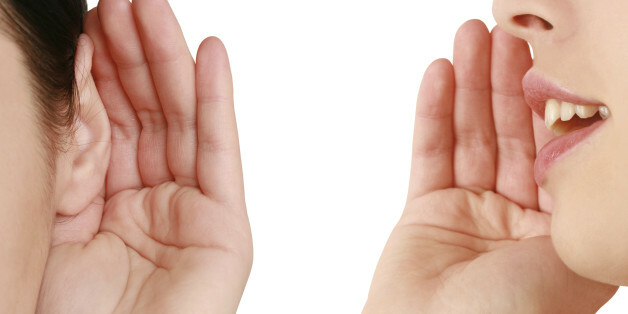 You ever hear the expression God gave you two ears and one mouth so that you would listen twice as much as you speak? Whether you believe in a higher power or not this advice is good for everyone. It’s especially true and important that you listen before speaking, and to not speak out of turn. See the problem with most people these days is that they don’t listen. They spend too much time talking and not enough time listening and therefore don’t spend enough time learning. Because how can you learn when you’re talking? How can you listen when you’re speaking? How can you absorb information and get a better understanding? The Answer is you don’t, you can’t, you won’t. You also have two eyes, well most of us, except for pirates. Allowing you to see things, obviously, but more importantly it allows you to read body language. You must be aware of your surroundings and be especially aware of situational surroundings. What do I mean by that? What do I mean by situational surroundings? To put it simply, you need to be able to walk into a room and read the atmosphere, the vibe. This will help you accomplish a lot more than talking. You learn this way, you learn how to deal with people better when you listen, not when you speak. Now listening is only half of it, it’s important, but if you can’t comprehend or understand what you’re listening to, it’s useless. What that means is you need to educate yourself before engaging in conversations where you have no clue. If this is the case and you find yourself engaged in a conversation where you don’t know talking about then ask questions so you can learn. Don’t try to give someone blind advice about a subject you have not been educated in, this is careless. Now I’m not saying you shouldn’t speak at all when engaging in a conversation. But to get knowledge and have an understanding you must first learn, and the way you learn is by listening and asking questions. People sometimes feel like if there are a quiet person that it makes people feel awkward. This is true, however, what’s more awkward than putting someone off that is trying to make a point? Intentionally listening to someone while trying to decipher what they tell you is very important. Intentional listening. That means you’re not thinking about what you’re going to say after they get done speaking. That means you’re not thinking about something else while they’re speaking. You are however giving them full and undivided attention, making eye contact which is very important, and trying to comprehend things from their point of view. This is how we grow, just like a plant needs water to grow so does our brain, metaphorically speaking. You couldn’t just give a plant water with no light and expect it to grow. The same way you couldn’t give a plant all the light that it needs and not water it. Think of active listening as a combination of watering your plant and giving it light. This will help you out in the long run and in the short run.